Mokrin is a village in Banat in Vojvodina, famous for its wine, flaky cheese, ham, strudel and tamburaši. The first reports about Mokrin date back to the 13th century, but the numerous archaeological sites show that people lived here from five thousand years BC. This village in Vojvodina is still a place that tells a story about interesting events from the past and the scene of contemporary cultural and social events, inspired by the surroundings and tradition. Near Mokrin there are nature reserves and the whole area is known for a variety of plant species and habitats of rare birds. One of the first prominent member of the family Novak in Mokrin was Max. Maximilian Max Novak, lived here from 1796. to 1874. , and he, according to the stories, became very rich in 1848. when he found a hidden bag of gold, but other stories say that he was actually a gold smuggler. Maxine’s grandson Ljupko Novak in the year 1925. built an authentic family estate, a very modern building at the time, today’s “House of the flat hill”. This house has been known in the village as the “iron” house because of the iron fence and snow stops, and it was the first private house in Mokrin witch had electrical installations. In between the two world wars, Ljupko Novak and his son Milan Novak were welcoming many famous politicians and members of the Government of the Kingdom of Yugoslavia to their home. The Novak estate was often visited by former Prime Minister Milan Stojadinović and military ministar Hadzić. Architectural studio Autori was founded by the the young and talented architects: Dijana Novaković, Maja Trbović, Aleksandra Nikitin and Dušan Nenadović. 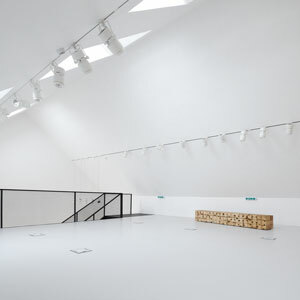 Autori realized various projects in the fields of architecture, interior and furniture design. 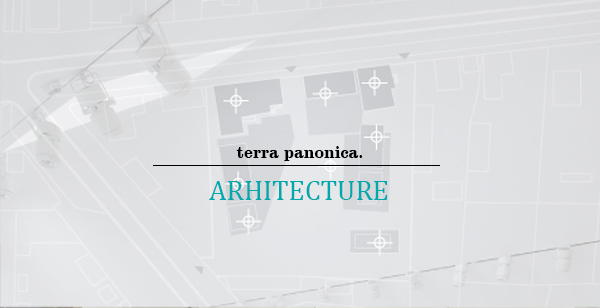 And for the past three years they have been working on the design and realization of the objects for the cultural tourism complex Terra Panonica. 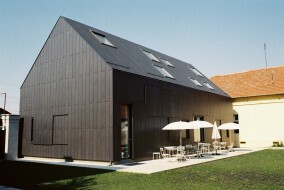 The house on the flat hill of Terra Panonica in Mokrin is a unique example of combination of traditional and modern functional concept in architecture and design. This complex consists of five buildings integrated in the typical Vojvodina’s large courtyard and a materialized vision of the socially engaged investor Branimir Brkljač and a group of young architects gathered in a group under studio Autori. The house on the flat hill is a very specific creative and inspiring oasis of artists, scholars, innovators, educators, the exchange of ideas, knowledge and development of new views on the possible constructions of the villages and meeting the local and global community. Inspired by tradition and the environment, with the support of the initiator, studio Autori have begun the renovation and revitalization of the former family estate Novak.